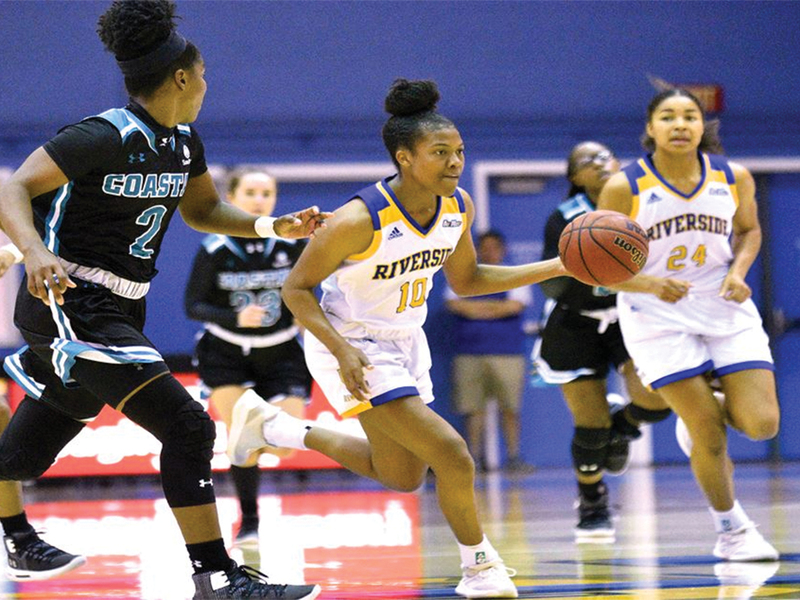 The UCR women’s basketball team (6-10) played against Long Beach State (4-10) on Thursday, Jan. 10 and were blown out by a near 20-point margin, 63-45. While watching the game I realized there were three fatal flaws in the team’s performance that led to the tough loss. Long Beach State instituted a full-court press early and often which forced the Highlanders out of their comfort zone, leading to 27 turnovers. As a whole, UCR looked like it didn’t have much experience dealing with a full-court press and Long Beach was thriving, cutting off passing lanes and coming up with easy steals that led to transition layups. Long Beach’s Justina King and Shanaijah Davison came up with five and four of their team’s 18 total steals. These turnovers from Riverside led to 26 points off of turnovers for LBSU. It’s also worth noting that the game was sloppy on both sides. LBSU also turned the ball over 21 times, the Highlanders just turned it over more, failed to convert on turnovers they forced and just looked out of sorts due to the full-court press. The Highlanders ended the night shooting 33 percent from the field and 14 percent from three. Long Beach State didn’t shoot too much better from the field, 35 percent, but did a whole lot better from three, 39 percent. The Highlanders shot a whopping 100 percent from the free throw line. The only problem was that they only got to the charity stripe on one occasion for two shots. LBSU was able to get to the line for 16 shots and made 14 of them. This part of the game was largely out of UCR’s control because they can’t send themselves to the free throw line, but when a team is not shooting well while also losing possessions due to turnovers, free throws could help get them back in the game. At one point it also seemed like the no-calls were getting into junior redshirt guard Jannon Otto’s head as she continuously drove to the rim and asked for calls when her shot wouldn’t fall. She drove strong to the basket twice in a row, each time expecting a call that she didn’t receive and looked visibly upset after. This did lead to her becoming more aggressive and drawing the only shooting foul for the Highlanders but the lack of calls overall might have gotten to her and the team. The Highlanders’ next game is against UC Irvine on Jan.17 in the SRC Arena at 7 p.m.